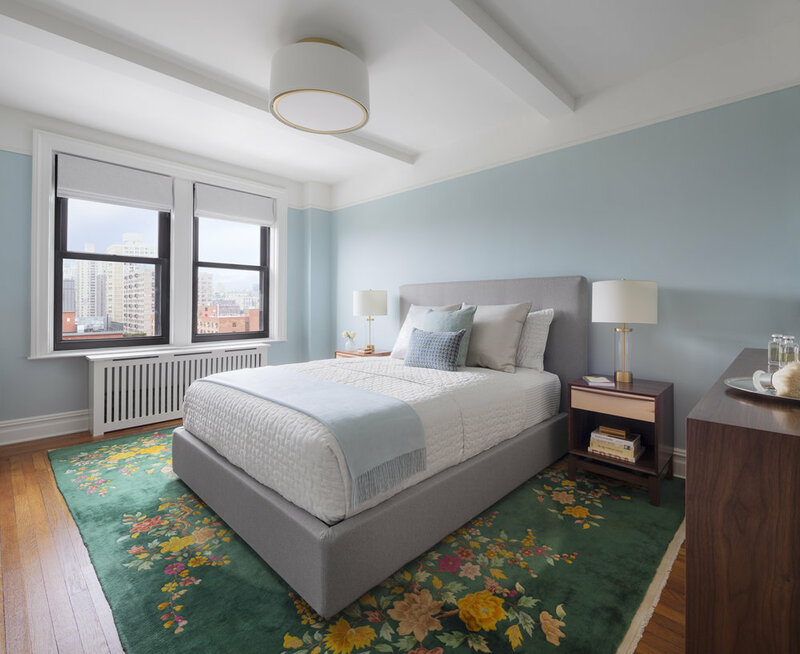 After many years living in her one-bed, one-bath Upper West Side Apartment, our client needed a more expansive, flexible live-work environment that reflected her unique style. Idea Space’s renovation achieved a greater sense of visual connection between the living room and kitchen, first by widening the existing opening between them and adding another vertical opening in the same wall, which together, bookend the upper kitchen cabinets and frame the TV on the living room side. 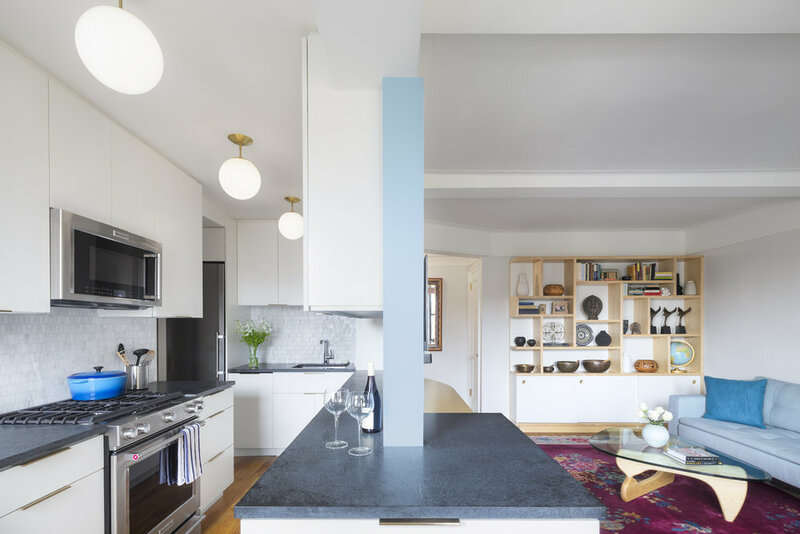 A soapstone countertop wraps around the wall and drops down to a continuous ash wood console/work surface, further blurring the boundary between the two spaces. Other enlarged openings, such as those to the entry foyer and bedroom hallway, provide a seamless flow throughout. 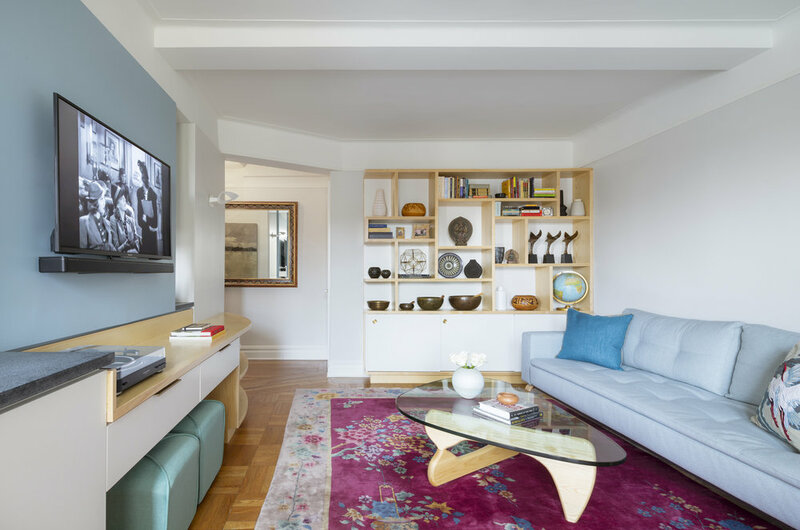 In addition, Idea Space created highly efficient storage solutions with custom-designed millwork tailored to the apartment, including a built-in of geometrically arranged shelving thoughtfully detailed for a personal collection of books and objets d'art. 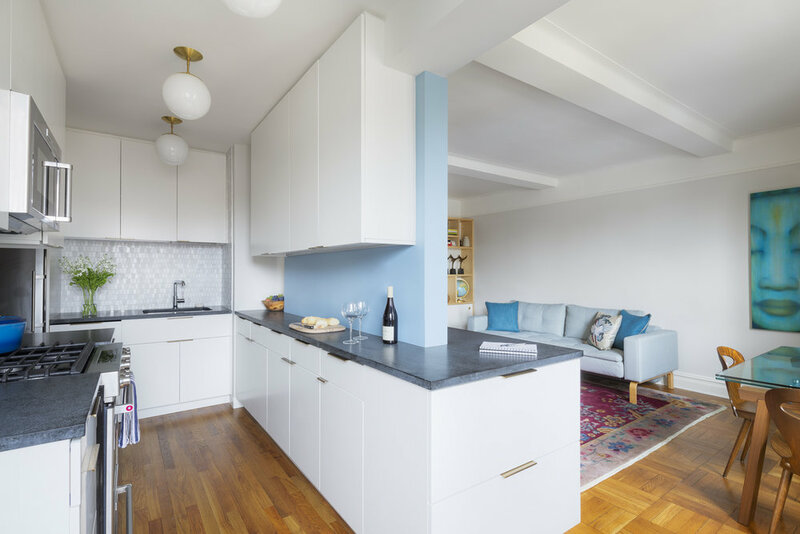 Soft colors and smooth finishes throughout the apartment reflect natural light, evoking a sense of quiet calm for work, while enhancing the comfort of a visually connected home conducive to entertaining. 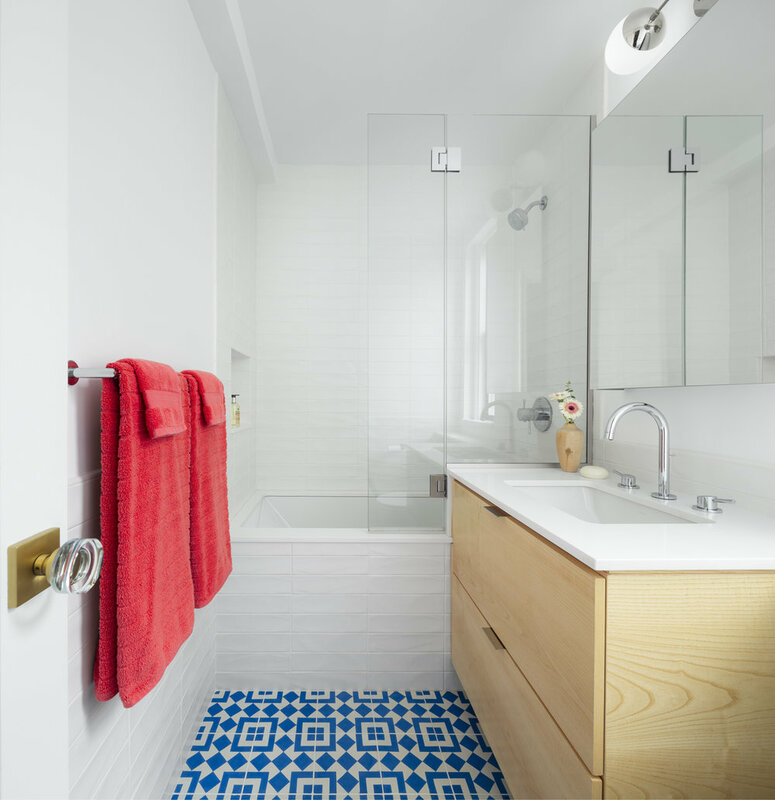 General Contractor: Minch Construction Corp.